Police say suspects in Spain’s deadly twin terror attacks were preparing an even bigger assault but were thwarted in their plans. The suspects in Spain’s deadly twin terror attacks on Thursday were preparing an even bigger assault but were thwarted in their plans and forced to act in a “more rudimentary” way, police said Friday, according to AFP. 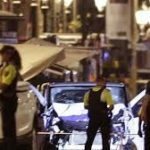 Catalonia police spokesman Josep Lluis Trapero added that a driver who mowed down crowds of pedestrians in the first attack in a busy Barcelona street could be among five suspects later shot dead in a nearby city. “They were preparing one or several attacks in Barcelona and an explosion in Alcanar stopped this as they no longer had the material they needed to commit attacks of an even bigger scope,” he was quoted as having told reporters. He was referring to a blast in a house in the town of Alcanar on Wednesday evening. Police believe the explosion, which killed one person and injured seven others, was caused during an attempt to make explosive devices. Trapero added that after this, the suspects — who formed part of a cell — allegedly went on to commit “more rudimentary” attacks. These involved vehicles plowing into pedestrians in Barcelona and then again in the seaside city of Cambrils hours later. Police shot dead five “alleged terrorists” in Cambrils. Asked if the van driver in the first attack was among the five killed in Cambrils, Trapero said “the investigation points in this direction”. He stressed, however, that while there were “clues” that this was the case there was no “concrete proof”. So far, authorities have arrested four suspects in the attacks, including three Moroccans and a Spaniard. The attacks were claimed by the Islamic State (ISIS) jihadist group.